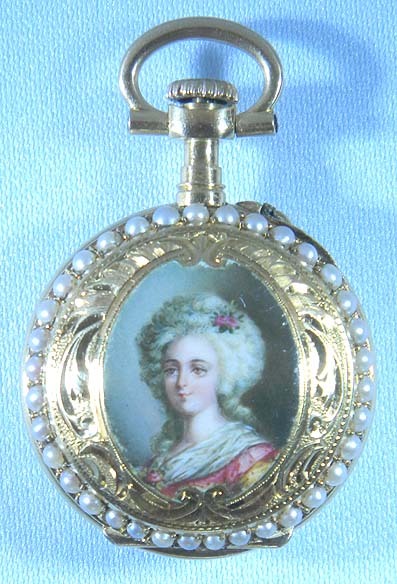 Fine and lovely 18K gold, pearl and painted enamel miniature ladies 18th century style antique pendant watch circa 1890. 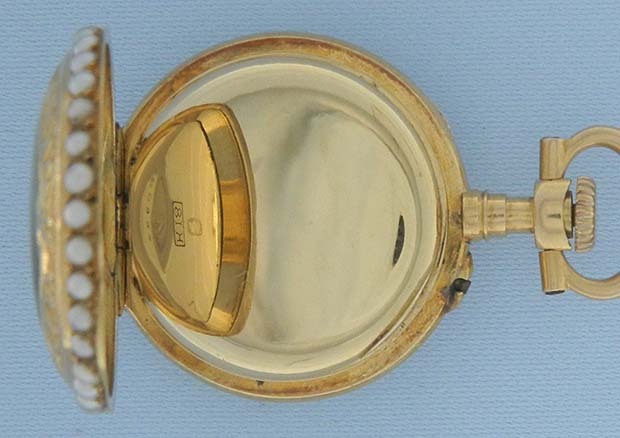 The case with pearl bezels, the back with a beautifully painted enamel portrait of a lady (typical surface scratches) within engraved surround. 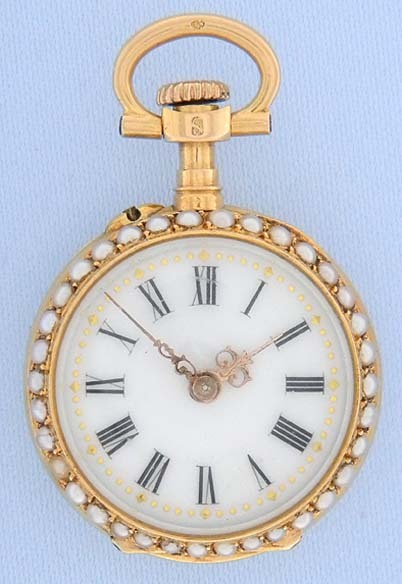 White enamel dial with black numerals, gold minute markers, and fancy gold hands. 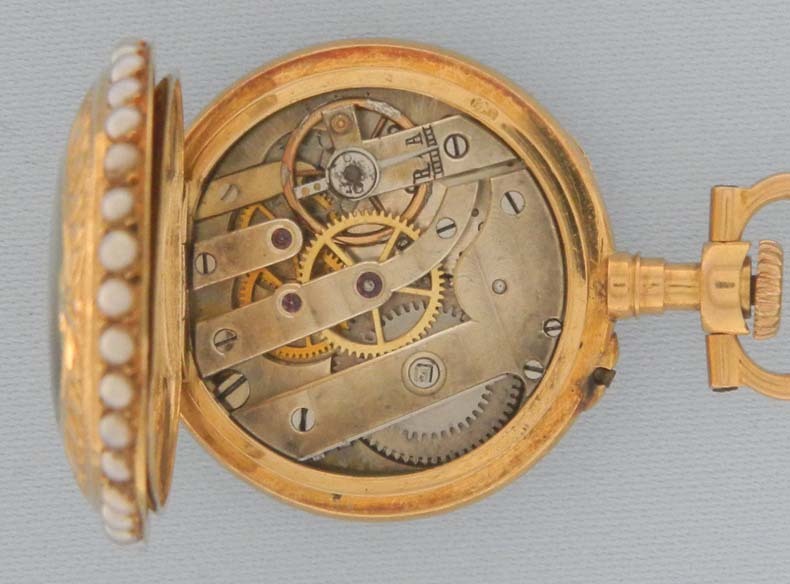 Nickel 10 jewel cylinder movement ticks but does not keep time.